Feng shui, the Chinese term meaning "wind-water," is a form of energy (or "chi") that surrounds us all and flows well or poorly depending on, among other things, our decor. Do you spend a lot of time in your kitchen? Are you happy or stressed when you're there? 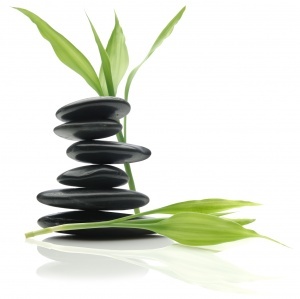 Feng shui can help you find serenity ... and your cooking touch! Feng shui proposes that every corner of your home (and every corner of every room) corresponds to a sphere of your life. In addition, every corner is governed by five fundamental elements (metal, wood, water, fire and earth) in the universe which, when in balance, allow positive energy to flow. The kitchen should not be visible upon entering the house. If it is, use a piece of furniture, a plant or other decorative element to divert people's attention. If the sink and stove are close to each other or along the same wall, separate them with decorative wooden or metal items such as pots, utensil holders, etc. When it comes to colours, favour earth tones, white, or pale yellow, which is considered excellent for digestion. Create several levels of direct and diffused lighting. Consider ceiling lights, small lamps, candles, etc. Use multiple light sources. Avoid clutter at all cost: a feng shui kitchen is open, airy and organized. Always put away small appliances (even the toaster) that clutter counters and prevent energy flow. Do we really need to mention that a TV in the kitchen is anti-feng shui? If your kitchen is small, create "openings" using one or more doorless cupboards (but make sure everything inside is tidy!). If this isn't practical, a mirror can do the trick. Don't “disturb” the chi in your kitchen by hanging knives where everyone can see them. Keep them in a drawer or knife block. Tie red ribbons around the pipe underneath the kitchen sink to prevent money from leaking out of your home. This tip applies to all pipes in the house, including those in the bathroom. To create positive energy, add some life to your decor with a bouquet of flowers, a bowl of fruit, or a small plant on the kitchen table or windowsill. Good luck, and may your chi be strong!